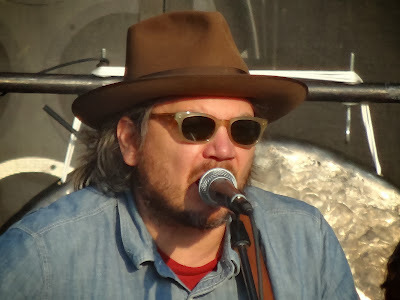 Jeff Tweedy of Wilco plays on the Samsung Galaxy stage. It was late afternoon. Blue Eyes and I headed to the Samsung Galaxy stage early. We met interesting people from Tennessee. We drank a few cold beers. It wasn’t Wilco’s best show ever, same songs as last time around, set too short, they were probably better at Stubb’s, but it didn’t matter. 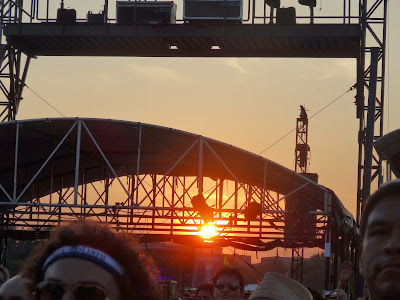 Wilco is always great for me, the sun was setting, I was dancing slow with my man and all was good. Sometimes ACL is about the headliners, your ten thousand closest friends, waiting in cab lines, eating too many Mighty Cones and loving what you find at the Art Market. And sometimes it is about the moments. The simple moments that you will remember. Good bye ACL 2013. See you next year.